Fees. It's one of the things credit card users should pay close attention to with their credit cards. Different types of credit cards charge different kinds of fees and many of them are avoidable. 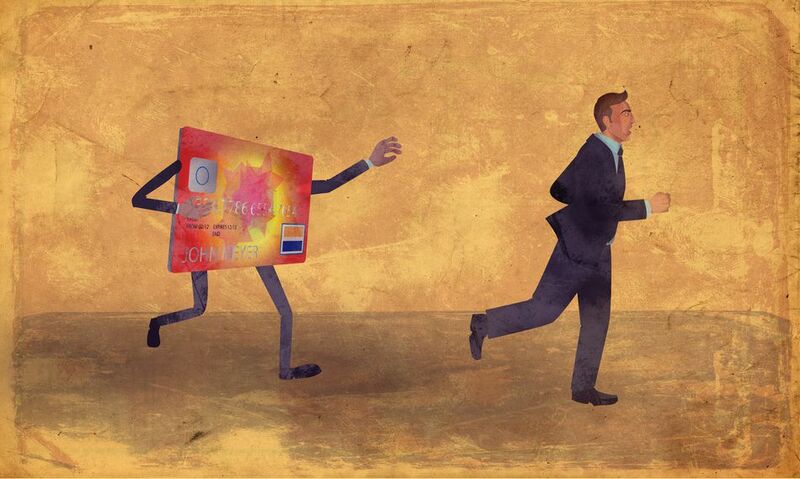 The best way to avoid credit card fees is to know what they are and when they're charged. That way, you can adjust how you use your credit card to completely avoid paying fees. Your credit card agreement is the best place to find a list of fees charged on your credit card. You can find a copy online or by calling your credit card issuers and asking to have one mailed to you. Here are the most common credit card fees and tips for avoiding them. The annual fee is a yearly fee charged for the convenience of having a credit card. Not all credit cards have an annual fee. You can expect an annual fee on most secured credit cards, some premium credit cards, charge cards, and subprime credit cards. The amount of the annual fee varies. It can be as low as $19 or as high as $500, depending on the credit card. For some credit cards, the annual fee is worth it, especially if the benefits of the card outweigh the cost. If you're trying to re-establish a bad credit history, you may have to start out with a credit card that has an annual fee until you can qualify for something better. Some credit card issuers waive the annual fee for the first year, giving you the opportunity to enjoy the credit card before having to pay the cost for it. A balance transfer fee is charged for balance transfer transactions — a transaction that lets you move a balance from one credit card to another. The fee is a percentage of the balance transfer, usually 3 percent of the transaction amount or $5, whichever is greater. The higher the balance you're transferring, the higher your balance transfer fee will be. A cash advance fee is charged whenever you make a cash advance or an equivalent transaction. For example, overdraft protection and credit card convenience checks are cash advance transactions. The cash advance fee is usually 5% of the amount of the advance or $10, whichever is greater. The fee is charged once per cash advance and on top of any ATM fees, you pay for withdrawing cash. You can avoid a cash advance fee by avoiding cash advance transactions — which is best since cash advance balances are charged higher interest with no grace period. The expedited payment fee is charged when you need to make a last-minute credit card payment by phone to avoid being late. The fee will be around $10 to $15 but is less expensive than a late payment fee. You can avoid an expedited payment fee by making your credit card payment earlier in the month. However, if you need to make a last-minute payment, the expedited payment fee beats a late payment fee. Finance charges are the monthly interest charge added to your account for the convenience of carrying a credit card balance beyond the grace period. You'll have a finance charge added to your balance any month you don't pay your balance in full unless you're under a 0 percent interest rate promotion. The amount of the cash advance depends on your credit card APR, the balance, and your credit card's method of calculating finance charge. You can avoid paying a finance charge by paying your balance in full each month. Foreign transactions fees are charged when you make a purchase in a foreign currency. You can sometimes be charged the fee regardless of your physical location if the transaction is in a currency other than U.S. dollars. Some credit cards don't charge a foreign transaction fee, but those that do, typically charge 3 percent of the transaction amount. If you're traveling out of the country and want to avoid paying foreign transaction fees, look for a credit card that doesn't charge the fee. Over the limit fees, charged when you exceed your credit limit, are less common since the Credit CARD Act of 2009 passed. This law requires you to opt-in to having over-the-limit transactions processed before the credit card issuer can charge an over-the-limit fee. For credit cards that do charge the fee, it can only be a maximum of $35 and can only be charged up to two billing cycles that your balance remains over the limit. You can avoid paying over-the-limit fees by keeping your credit card balance below the credit limit or opt-out of over-the-limit fees. Note that opting out means that transactions that would exceed your credit limit will be declined. A late fee is charged any month that your minimum credit card payment isn't made by the due date. Nearly every credit card has a late fee — discover waives the first late fee for cardholders. Your late fee can be up to $27 unless you've been late in the past six months, in which case it can be up to $38. (These maximum late fees can adjust up or down each year with inflation.) The late fee is charged once per billing cycle that you're late up until the point your credit card is charged-off, which happens after you're six months past due. You can avoid a late fee by making your credit card payment on time. If you think you'll have problems making your credit card payment, contact your credit card issuer ahead of time to make a payment arrangement. You may be able to have the fee waived for an accidental late payment if you call and if you're not habitually late. A returned check fee or returned payment fee is charged when your bank returns your credit card payment, for example when there's not enough money in your account to cover the payment. The returned check fee can be up to $35 and charged each time your payment is returned. You can avoid this fee by making sure they're enough funds in your checking account before making your credit card payment. Some credit card issuers may charge other fees, but these fees aren't common. Application or processing fee is a one-time fee charged simply for applying for the credit card, whether you're approved or not. This fee is more common with credit cards aimed at applicants with poor credit. Credit limit increase fee is charged when you request to have your credit limit increased. Credit card replacement fee may be charged if you need to have your credit card replaced in a short amount of time since your last credit card replacement.